Free shipping for orders above € 50. Another incredible hybrid with roots in the Jack Herer breeding program, this next-generation Sativa is one of Sensi’s more recent creations. Upon release, Mother's Finest was an instant hit, winning first place for Sativa at the 2002 Cannabis Cup just a few months later. Mother's Finest is more a Hazey offshoot of the Herer line than a direct Jack-descendant. However, just like Jack Flash, Mother's Finest is best understood as a purposeful fine-tuning of Jack Herer’s multi-faceted gene pool. Jack Herer sits right on the cusp of the Sativa-Indica divide, Jack Flash is a Skunk-heavy variant and our gorgeous Mother's Finest - with her sweet-sour flavour rush and ecstatic cerebral high - represents the Haze-dominant side of the family Naturally, the most Sativa-leaning examples of Mother's Finest will require the full flowering time, though this is still a considerably shorter period than comparable Haze hybrids. Less frequent phenotypes with a stronger Indica influence can mature in eight weeks. Mother's Finest gains height quickly when blooming, even in her more Indica form, so growers with limited upward space should flower early. Like other mostly-Sativa hybrids, this strain can be put into 12/12 as rooted clones or small seedlings. The divine sight and smell of Mother's Finest in full flower will delight any lover of cannabis, right up to the most dedicated Sativa worshiper. Her conical bud formation takes shape early in flowering as profuse sprays of long-haired calyxes sprint along the stem and branches to join up the clusters at each internode. In later weeks, the spear-shaped colas expand into impressive lime green stalactites of crystal-smothered bud. As her pistils darken, the calyxes of Mother's Finest swell and harden, maximising the surface area available for resin glands to multiply. Some phenotypes display extra-vigorous production, forcing calyxes into miniature peaks at the top and sides of large buds, giving the main colas a wickedly horned look. Elements of musky, fruity skunk and earthy Afghanica are clearly detectable beneath the sharp pine-Haze aroma of Mother's Finest buds. Mother's Finest® is a regular strain, which will produce male and female plants. Mother's Finest® has won a Cannabis Cup or another Cannabis Award. The Mother's Finest® strain has large proportion of Sativa genes in its background. 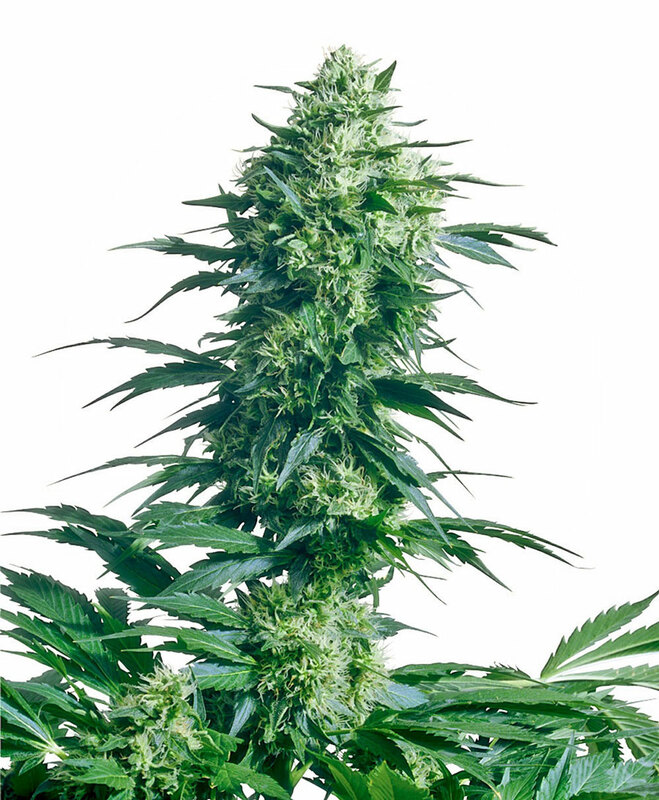 Mother's Finest® will have a comparatively short flowering time. Mother's Finest® will grow substantially during the flowering phase. Mother's Finest® can produce a very large yield, but may require a little extra care to achieve their full potential. Mother's Finest® can be grown outside in a warm, sunny climate with a long summer. Mother's Finest® Seeds is added to your shoppingcart! Mother's Finest® Seeds is added to your wishlist!